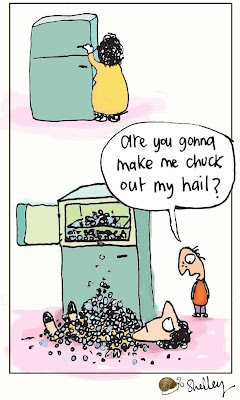 Shelley cartoons: The Age ...week beginning Monday 15th of March. The Age ...week beginning Monday 15th of March. 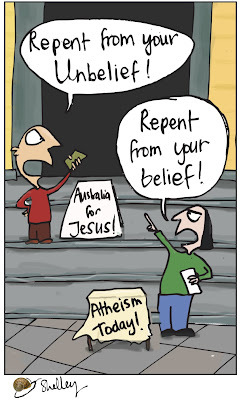 Melbourne hosted the International Athiests Convention last weekend, hence the rash of Atheism cartoons. My original idea was to have someone in the foreground thinking "Damn evangelicals" but I didn't think there was enough room in the rectangle for a third person and extra dialogue.